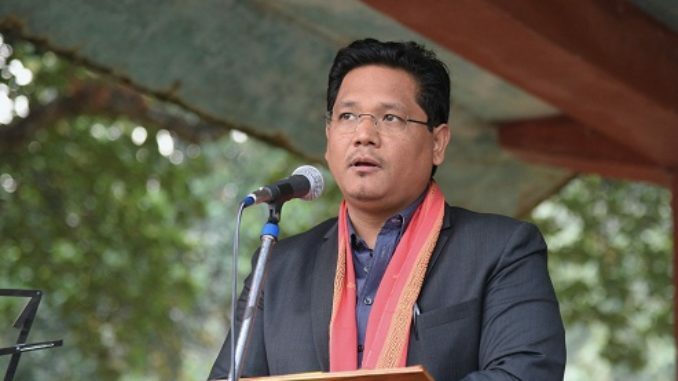 Meghalaya Chief Minister Conrad K Sangma on Friday said the Congress era is over. “The Congress era is over. People are rejecting the Congress everywhere and not just in Meghalaya,” Sangma said. During Indira Gandhi’s regime, the Congress was ruling in most of the states, but under Rahul Gandhi and Mukul Sangma, the party has been reduced to only two states, he said while campaigning for his party candidate Clement G Momin for the May 28 bypoll to Ampati seat. Mukul Sangma was the Congress chief minister whom Conrad K Sangma ousted in the assembly election held in February. Though the NPP is a new party, it is part of ruling coalitions in in three states including Manipur and Nagaland, Conrad K Sangma said. “We have faith in the people of Ampati constituency that this time people will vote for change,” he said. The by-election was necessitated as Mukul Sangma vacated the seat after he had won from two seats – Ampati and Songsak – in the assembly election, and retained Songsak. Miani Dalbot Shira, daughter of Mukul Sangma, is the Congress candidate in the bypoll.